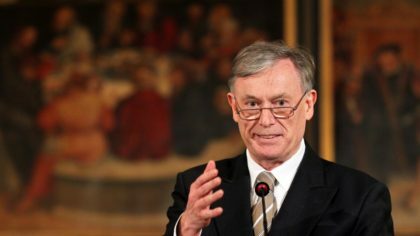 Morocco has given its green light for the appointment of Horst Kohler, former German President (2004-2010), as new Personal Envoy of the UN Secretary General for the Sahara, succeeding US diplomat Christopher Ross, le360.ma said quoting a diplomatic source. The Moroccan diplomatic source, which requested not to be named, said that Morocco informed the UN Secretary General in mid-May of its approval of the appointment of Kohler. The former German President has also received the approval of the Polisario front last April. His appointment will now be submitted for the approval of the UN Security Council before he officially takes office. After eight years as UNSG Personal Envoy, Ross left a legacy of failures on the Sahara issue. His term was marred by partial reports, a worn-out negotiation process devoid of prospects for progress and biased and unbalanced guidance to the UN.